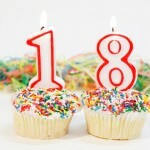 Cydcor is celeb rating its 18 year anniversary! For the past 18 years, the company has grown tremendously and achieved numerous milestones, ranging from a move to the United States in 2001 to its most recent expansion into the retail channel. Just recently, Cydcor announced that the company experienced an overall growth of 15.2 percent in 2011 – an example of the hard work and dedication that each and every Cydcor team member and the field puts into the business every day. Cydcor started as a small Canadian business to a thriving and profitable company that is looking forward to even more growth and expansion. Today, with hundreds of independently-owned offices across North America selling on behalf of major clients, the company is poised to continue its enormous success. Here’s to the next 18 years!